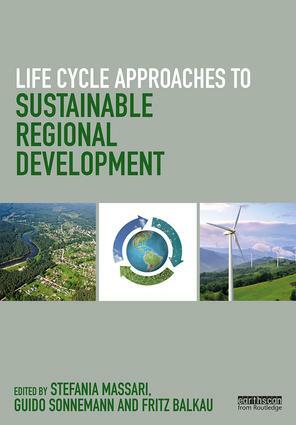 Life Cycle Approaches to Sustainable Regional Development explains the ways life cycle methodologies and tools can be used to strengthen regional socio-economic planning and development in a more sustainable manner. The book advocates the adoption of systematic and long-term criteria for development decision-making, taking into account the full life cycle of materials and projects. It describes life cycle practices from both a scientific and a practitioner point of view, highlighting examples and case studies at regional level. The applications are relevant to key economic sectors, as well as for internal planning and administrative procedures. It concludes with a synthesis chapter that distills the key messages from the authors into practical guidance points on how best to use such approaches to enhance sustainability in regional development. The book is essential reading for regional and urban planners who are integrating life cycle thinking into their policy regimes, as well as for researchers working to further evolve life cycle methodologies. Stefania Massari became full Professor in Commodity Sciences in 2004. She works at the Faculty of Economics at the University of Salento, Lecce, Italy. She is the Coordinator of the degree courses in the business area of the Faculty and she is the Director of the 'Life cycle approaches to sustainable regional development' summer school. She holds an MSc in Biology from the University of Bari. She did research at UNEP Paris and King’s College London. Guido Sonnemann is full Professor at the University of Bordeaux, France, where he heads a research group on life cycle assessment in the Institute of Molecular Sciences at the Department of Sciences and Technology. From 2002 to 2012, he worked as UNEP Programme Officer for Innovation and Life Cycle Management in Paris. In this function, he served as Science Focal Point for UNEP’s Resource Efficiency subprogramme. Guido holds a PhD in Chemical Engineering from the University Rovira and Virgili, Spain (2002), and an MSc in Environmental Chemistry from the University of Poitiers, France (1996), and he graduated as an environmental engineer from the Technical University of Berlin, Germany (1995). Fritz Balkau is an independent international advisor on sustainable development, focusing on sustainable production and consumption practices, enhanced resource efficiency, and risk reduction in society. He has extensive environmental policy experience in government (Australia) and intergovernmental organisations, and has carried out professional consultancy projects for national governments and independent associations, as well as the OECD and UN.